SiC provides the unique property of extreme radiation hardness, near-perfect visible blindness, low dark current, high speed and low noise. 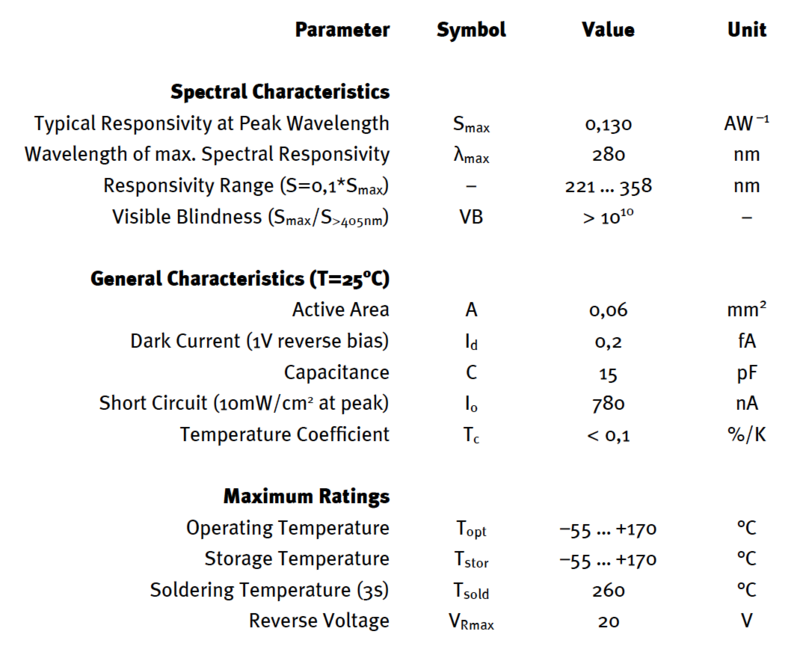 These features make SiC the best available material for visible blind semiconductor UV detectors. The SiC detectors can be permanently operated at up to 170°C (338°F). The temperature coefficient of signal (responsivity) is also low, < 0,1%/K. Because of the low noise (dark current in the fA range), very low UV radiation intensities can be measured reliably. 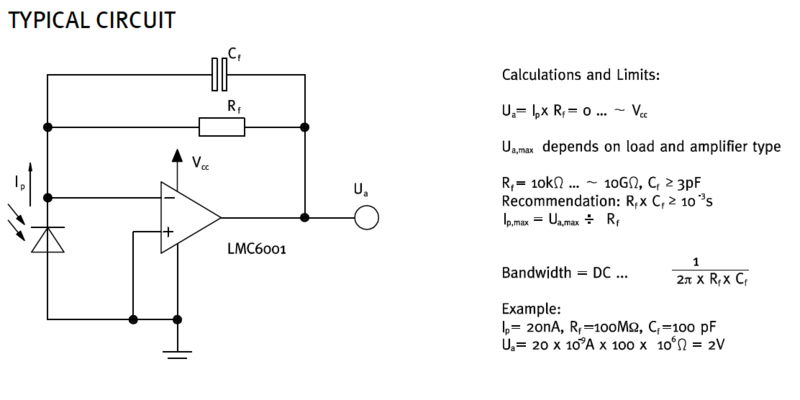 Please note that this device needs an appropriate amplifier (see typical circuit in gallery). 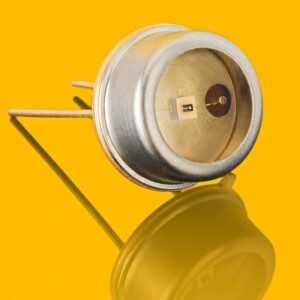 SiC photodiodes are available with seven different active chip areas from 0,06 mm2 up to 36 mm2. Standard version is broadband UVA-UVB-UVC. Four filtered versions lead to a tighter sensitivity range. All photodiodes have a hermetically sealed metal housing (TO type), either a 5,5 mm diameter TO18 housing or a 9,2 mm TO5 housing. Further option is either a 2 pin header (1 isolated, 1 grounded) or a 3 pin header (2 isolated, 1 grounded).